For story do visit my photo blog here. – Whipped cream with icing sugar until hard peak add mascarpone and mix well. – In a 20cm springform arrange lady fingers on the bottom of the tin, sprinkle with lots of coffee syrup. – Top with mascarpone whipped cream mix. Repeat the whole process until the top of the sprinform tin. – Set aside in the fridge for an hour. – Take out from the fridge and open the springform carefully. 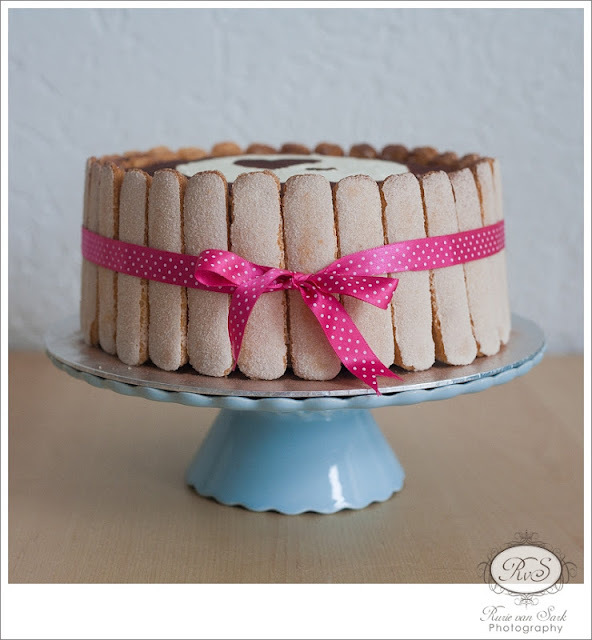 – Arrange the rest of lady fingers around the tiramisu and put a nice ribbon to hold everything in place. 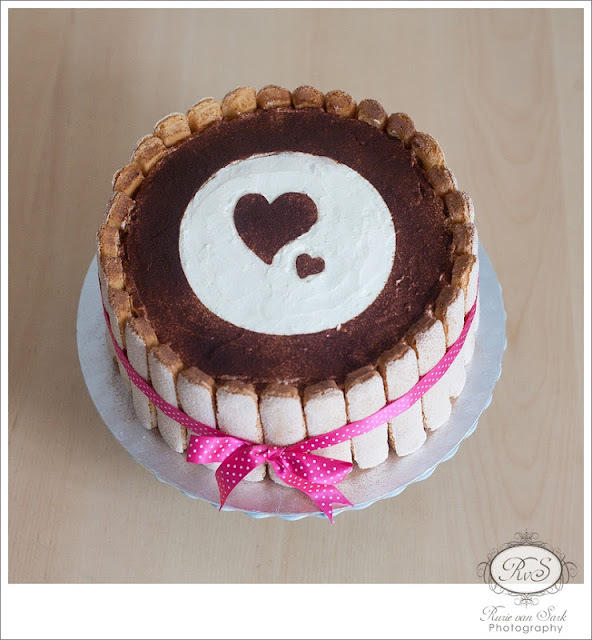 – Garnish the top with cocoa powder. – When I mean sprinle with lots of coffee syrup then I mean lots until soaked because you don’t want your lady fingers to be dry. – If you are in a hurry you can set it aside on the freezer for 15 minutes. – The original recipe calls of egg yolk but I omit this altogether since I’m not very confident in cooking with raw egg, however I’ve always made my tiramisu this way and I never felt that I’m missing on anything. – If you live in a tropical climate like Indonesia then use non dairy whipped cream and add 1tsb powder gelatine to your whipped cream mix to stabilize your whipped cream.